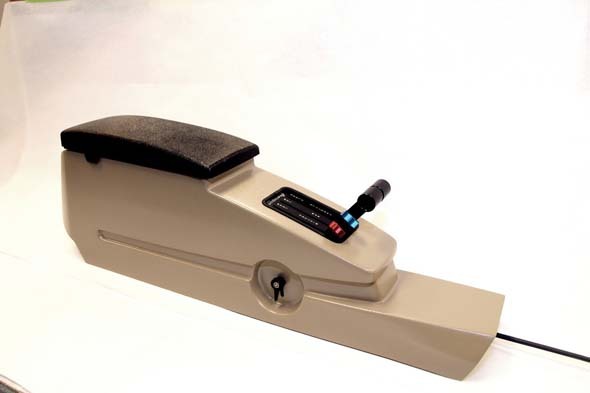 Aerosport Products is currently shipping its new RV-10 Quad Arm Rest. 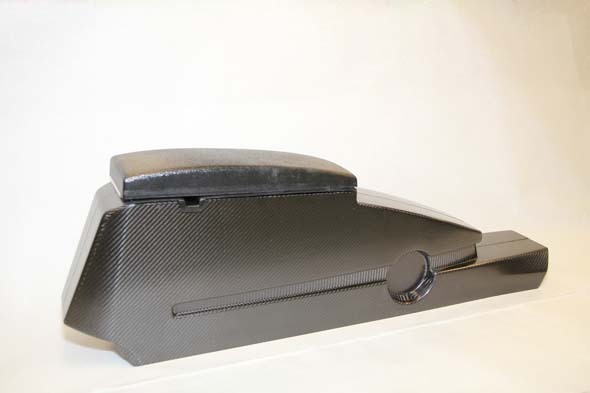 The advantage over some of the fiberglass consoles offered by other vendors is that carbon fiber is lighter with the benefit of being structurally stronger. The armrest is hinged at the rear, so either front seat occupants can open the armrest. The interior storage area is not made of carbon fiber, it is made of Urethane. You can locate headphone jacks or oxygen jacks on the inside of the armrest console. Notches on each side of the armrest allow for cables to exit for better wire management. This keeps headset cables from getting caught while the occupants get in and out of the aircraft. 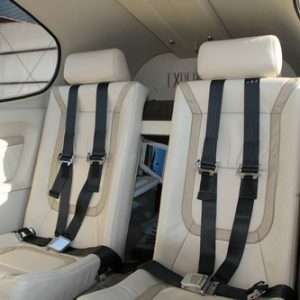 For the rear seat occupants, there is room for headset jacks, switches, etc. on the rear of the armrest. Like the lower console for the instrument panel, the center armrest console mounts on top of the existing tunnel cover. The center armrest console can be finished by painting or by covering with leather or cloth as seen in the following photos. The covered leather armrest is not included in the standard package. The armrest is provided with a standard carbon fiber finish that can be painted to a color of your choosing or clear coat. PLEASE NOTE THAT THE QUAD ARM REST DOES NOT COME STANDARD WITH THE THROTTLE QUADRANT. 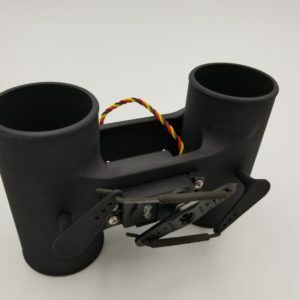 If you would like to purchase the throttle quadrant as well, there is an option to bundle them together.